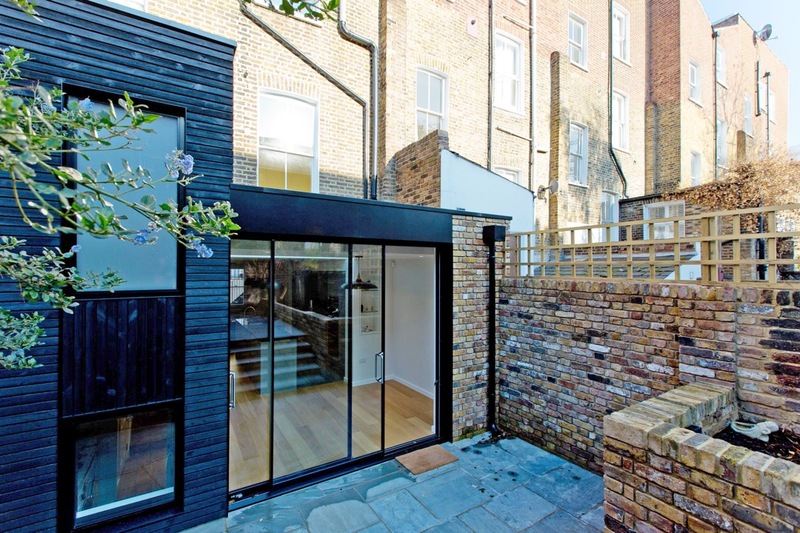 This was our first project with East London-based architects, Holland Harvey. 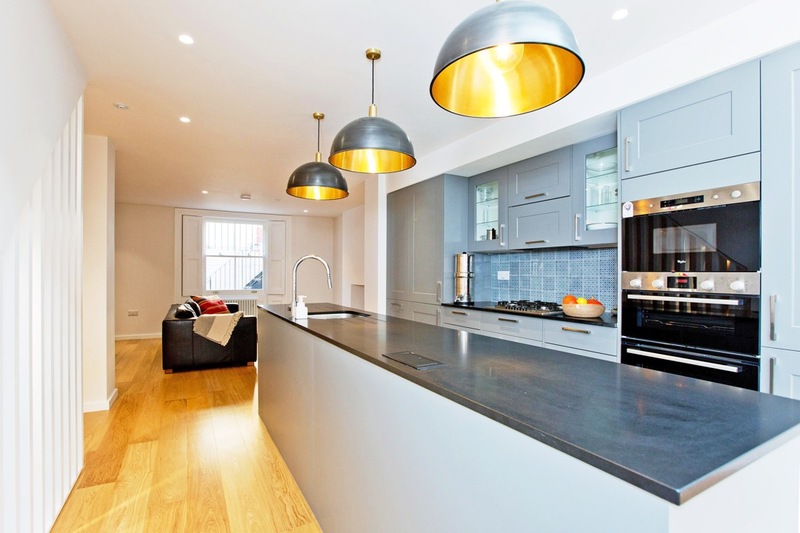 The brief was to enlarge, update and transform a cramped two-storey Islington flat into a stylish, modern apartment. 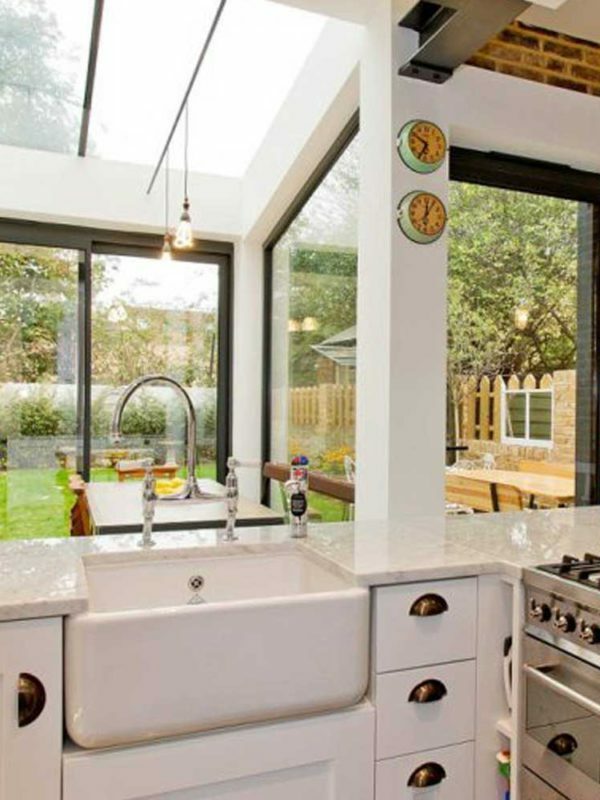 In the lower ground floor we removed the bathroom, demolished the rear extension and constructed a new, larger extension, making space for a good-sized kitchen and dining area, alongside the living room. 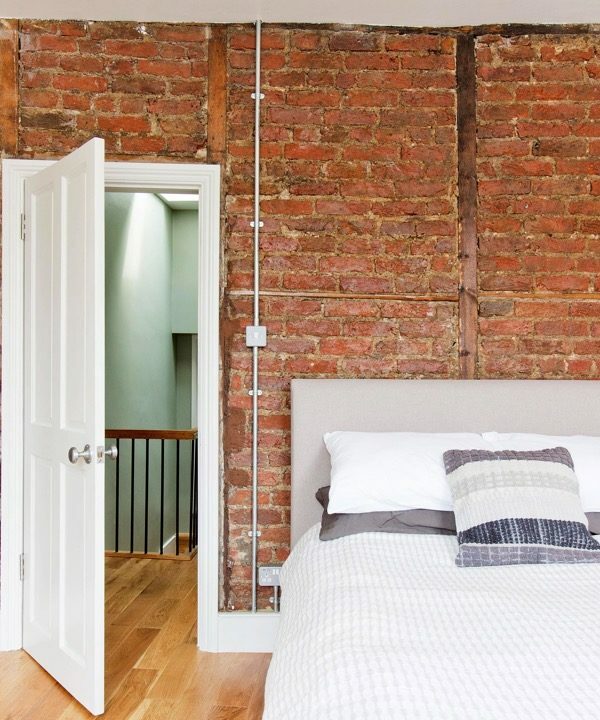 We dug down to make a semi-basement for a utility and boiler room to preserve valuable space in the kitchen upstairs. 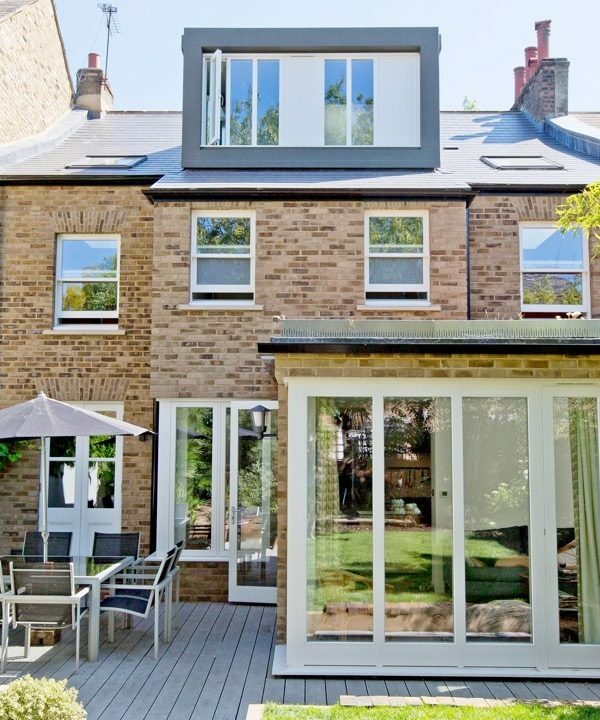 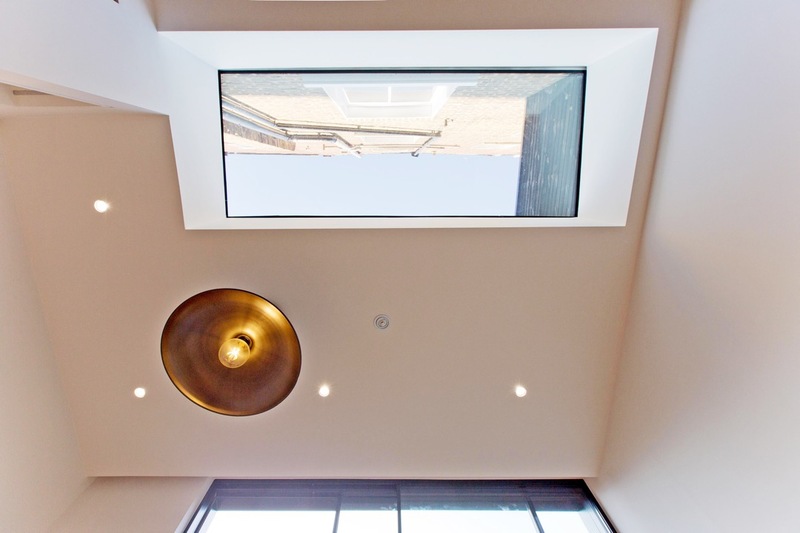 Clever design enhanced the natural light coming in, with a large rooflight and slim-framed sliding doors in the new extension. 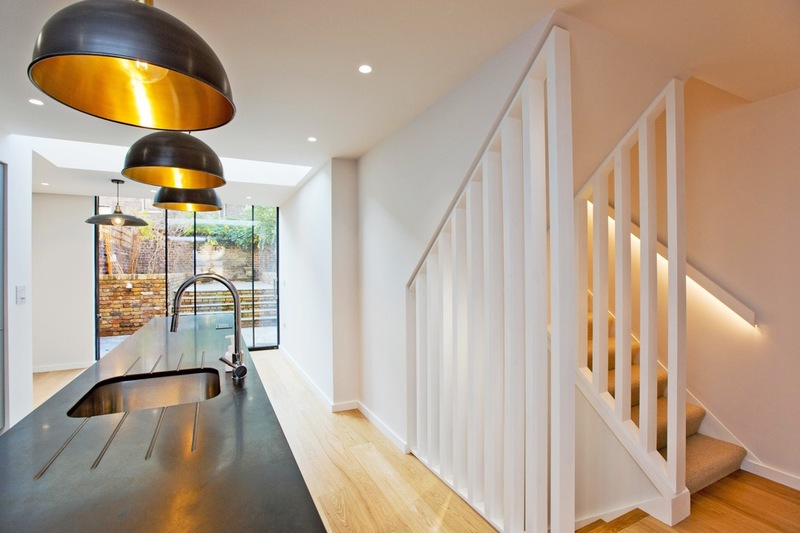 The slatted vertical balustrading for the staircases and LED light strip beneath the upper handrail also add much-needed light. 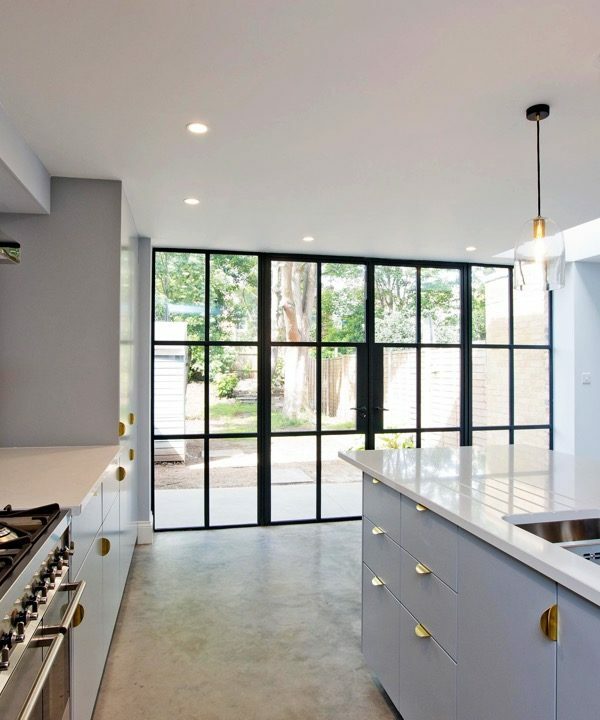 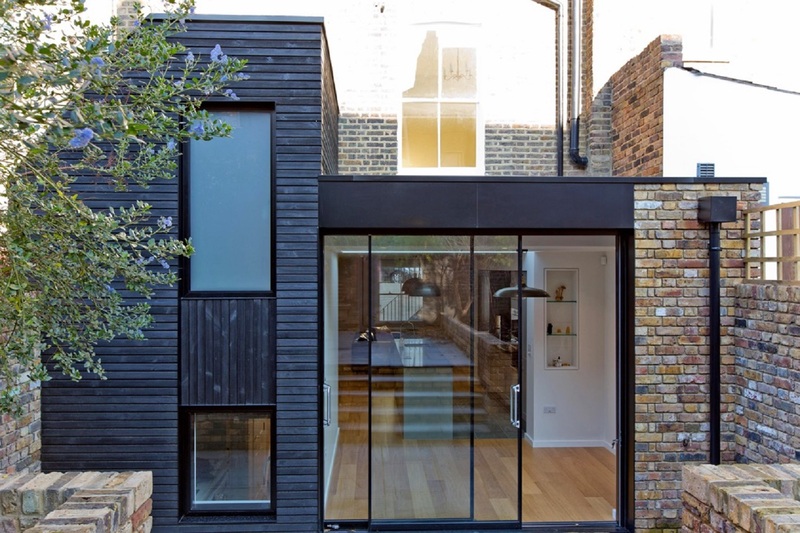 The standout design feature is the charred timber cladding to the rear extension, which sits in bold contrast to the textures and colours of the mixed bricks and glazed doors. 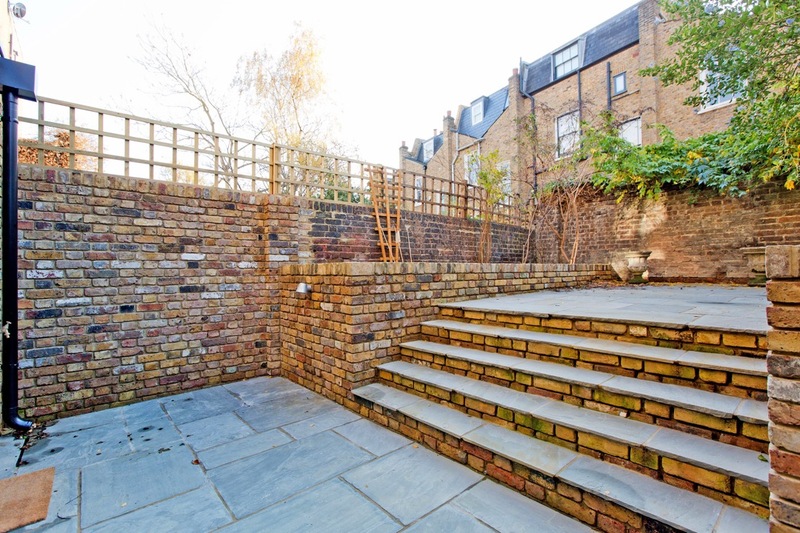 The patio, steps and walls were all re-done, creating a stylish two-level outside space. 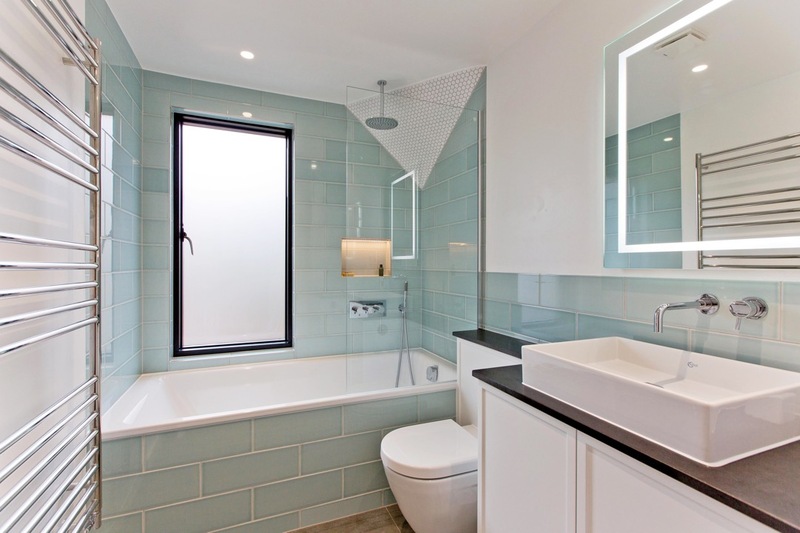 The rest of the works involved installing a sleek new bathroom to the upper half-level extension, new flooring and redecoration throughout, a new heating system and full electrical re-wiring. 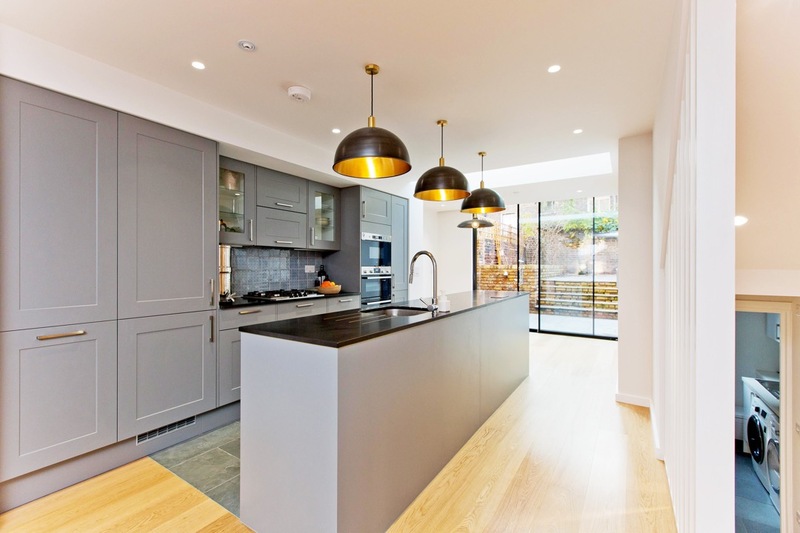 The clients were extremely pleased with the end result and, since the project was completed, we have been awarded the contract for another project with Holland Harvey Architects.